Our cabin is far away from most other human-made items, inventions, and diversions. The nearest town is about twenty miles to the sort-of east; the nearest road, about ten miles in a different direction. There’s also another cabin about ten miles away, but it’s usually empty. Our back porch, all sepia-esque. 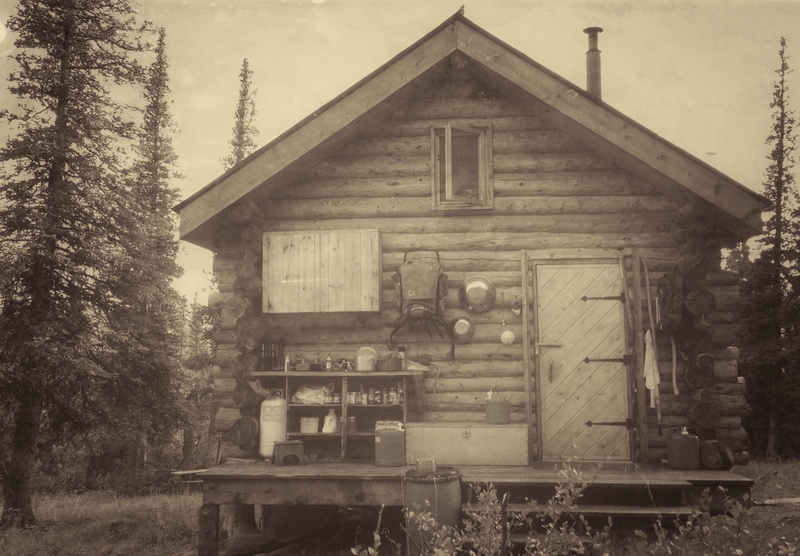 It may be that the “thing” nearest the cabin is Fairbanks City Transit Bus 142*, in which Christopher McCandless so infamously died in 1992. Stewart was most likely the person in closest proximity to McCandless while he was becoming the tragic protagonist of Into the Wild — but the unmarked miles between them were cleaved with big rivers and rough with forested ridges. Neither man could have known the other was there. When Stewart left the land that year, a helicopter pilot mentioned they’d just brought out a body. There’s always talk about removing the bus from the wilderness, but it hasn’t happened yet. It could stay out there and rust in peace if folks would just leave it alone. The problem is that people with no experience in the bush keep pilgriming to the bus and some of them die doing it. 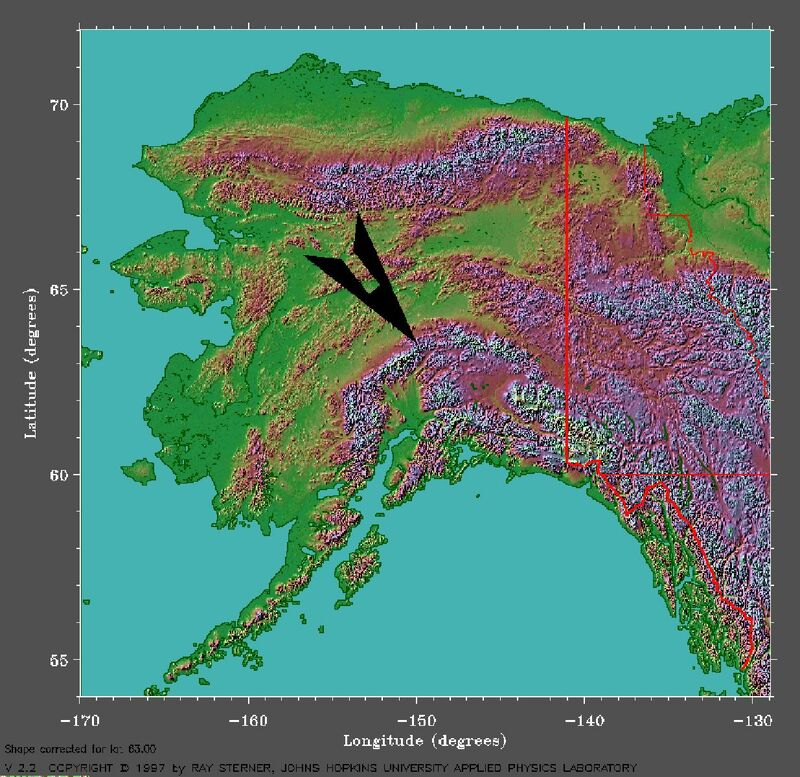 As for me, I feel brave enough when I set out alone to prove that I can find the little metal post sunk into permafrost, marking the Denali park boundary. I do this by following our Blueberry Trail down to the edge of the Moose Bog, then crossing over and bearing left at The Unusual Stand of Cottonwood Trees. We name what’s familiar so we know where we are. 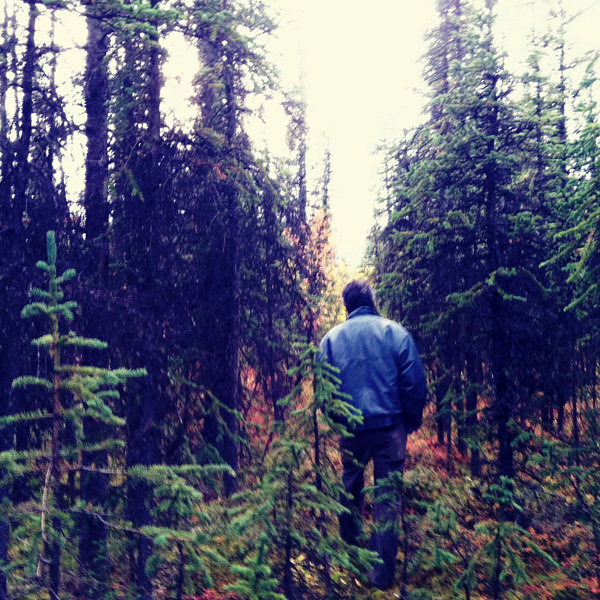 This blurry cut in the trees marks one of the boundaries of Denali National Park. Next, I think I’ll answer the question about how Stewart got the land where he eventually built the cabin. But before that, there may be something about getting on a train. I leave tomorrow on the first leg of my journey north, so I’ll check in about that soon. *This Wikipedia entry talks about how a Fairbanks bus got to be way the heck out in the woods in the first place. I imagine your senses come alive because so much depends on those senses! I also imagine you have to feel more alive as everything out there is in survival mode. It has to be exhilarating to be shaken up for a while in that wild place. I love reading these posts, Shae! Yes, I think it’s that so much depends on them and also that there’s not a lot of other nonsense distracting us. It usually takes a few days for the scrim of noise and activity to fall away, and that process isn’t very comfortable — but so worthwhile. Thank you for being here, Jill!